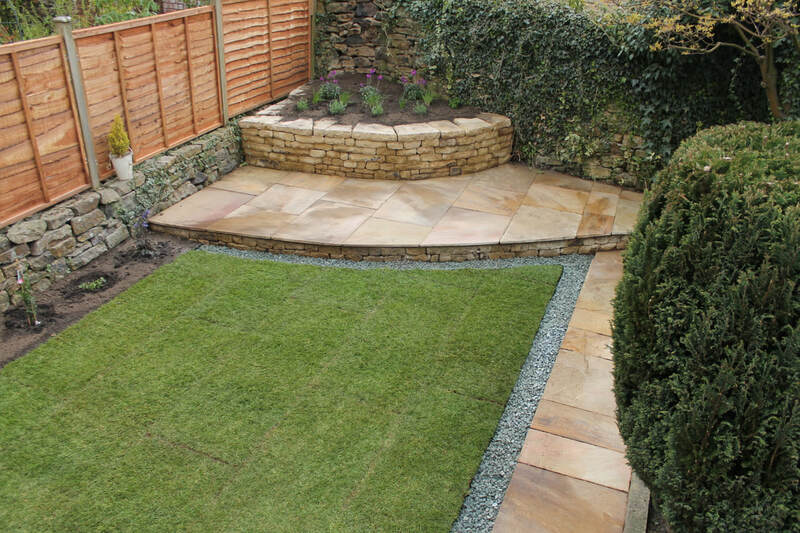 With our knowledge of hard landscaping techniques as well as soft landscaping such as laying turf, planting and creating growing beds we can totally transform a space. 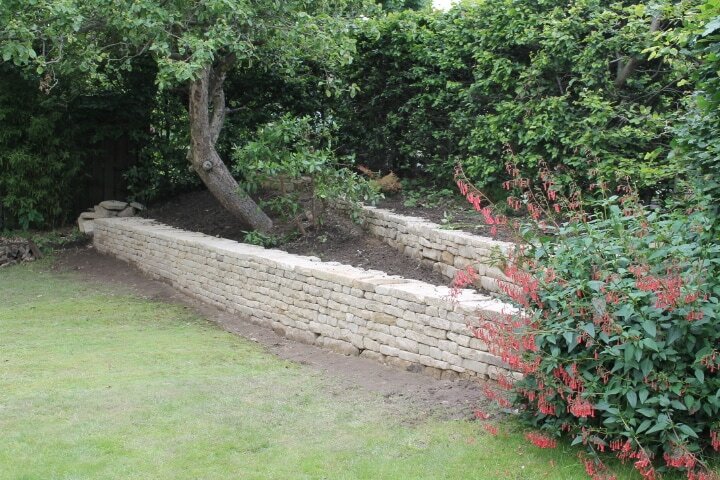 From start to finish we can remove unwanted elements and provide clearance and weeding and then re-build a garden. 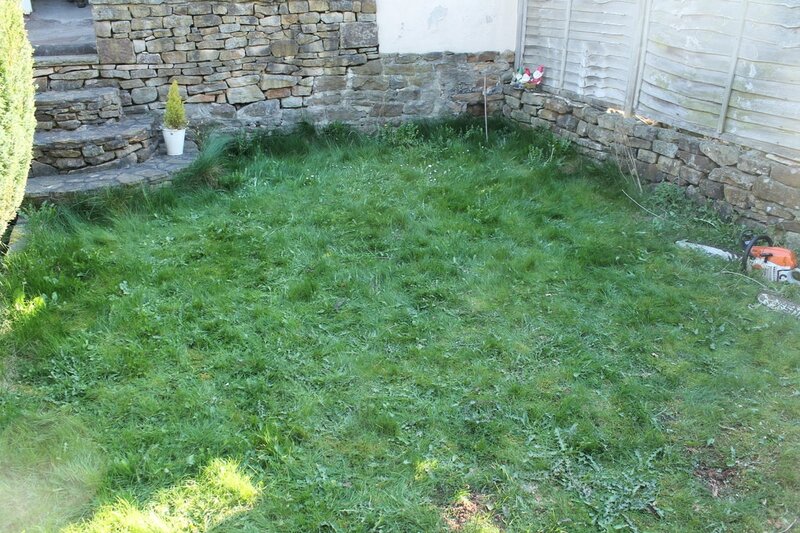 This back garden had several undesirable issues such as a large stump, an uneven lawn, wind-damaged fence, difficult to mow weed areas and no planting beds. We sent initial sketches with a functional design aimed at disguising the large stump with a large stone raised bed in the corner. 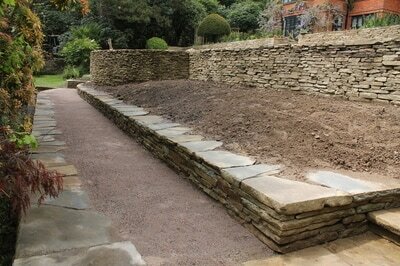 Around the raised bed would then be a raised curving stone patio. 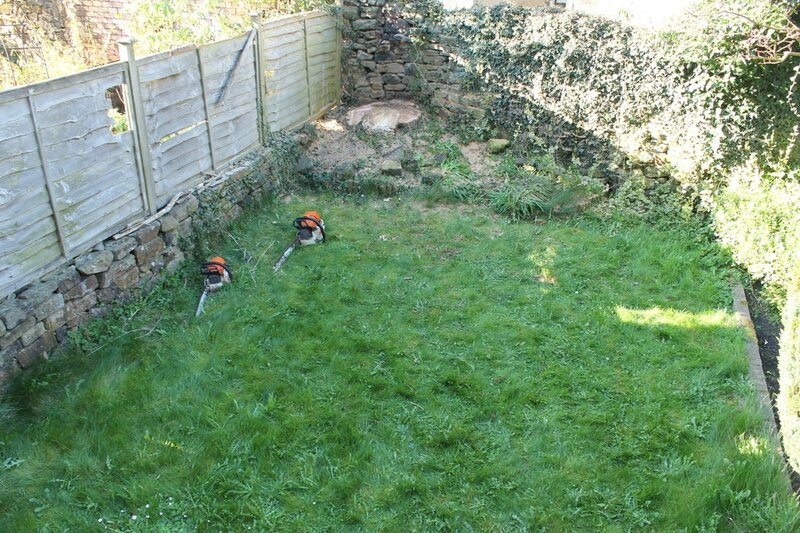 The first job was to cut the stump as low as possible. 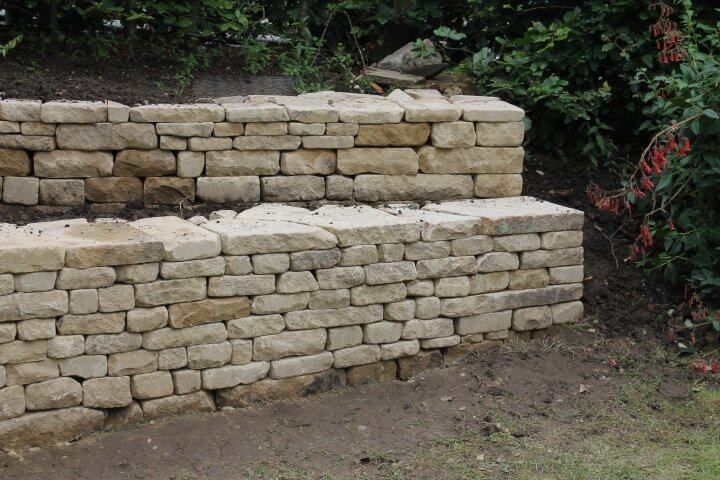 The raised bed in the garden was an effective way to cover over the stump with soil as well create a multi-level effect to the garden. Around the raised bed is a slightly raised patio with enough space for a small table and seating area for relaxing on a sunny day. 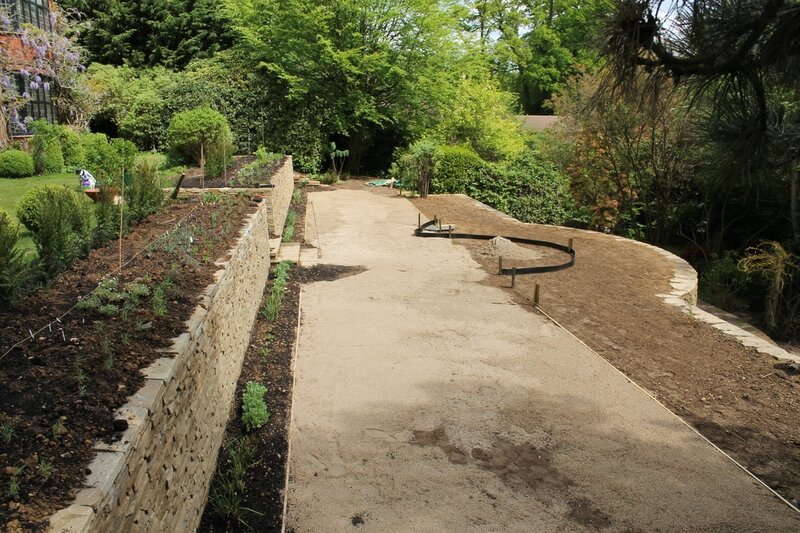 After replacing the panel fence, we also laid a stone path down one side of the garden and made a narrow planting borders. 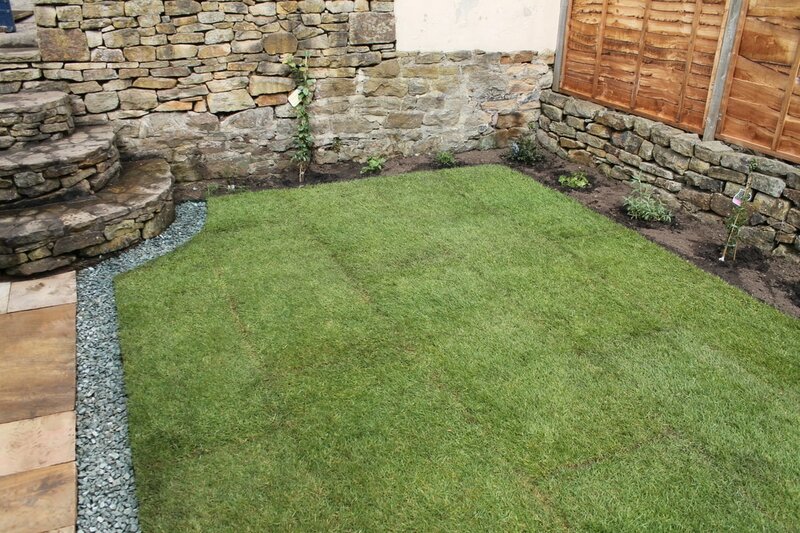 We dug up the old lawn and after organically weeding, adding loam and levelling, we laid new turf and put in lawn edging and granite gravel edges. 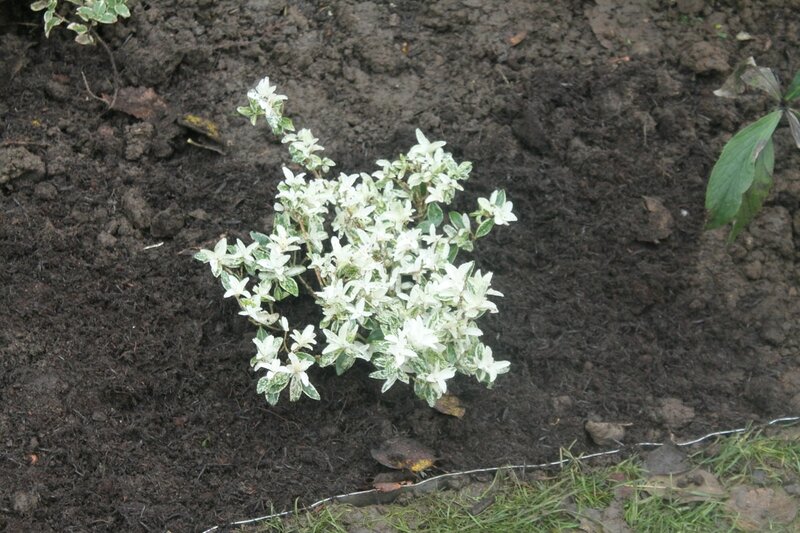 Finally we also supplied a planting list for the garden and planted up using compost to enrich the soil. 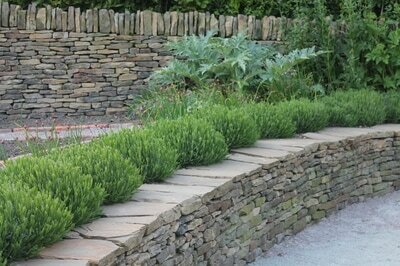 In the raised bed, we created a herb bed with a line of lavender (lavendula hidcote) and behind that a line of chives (allium schoenoprasum). 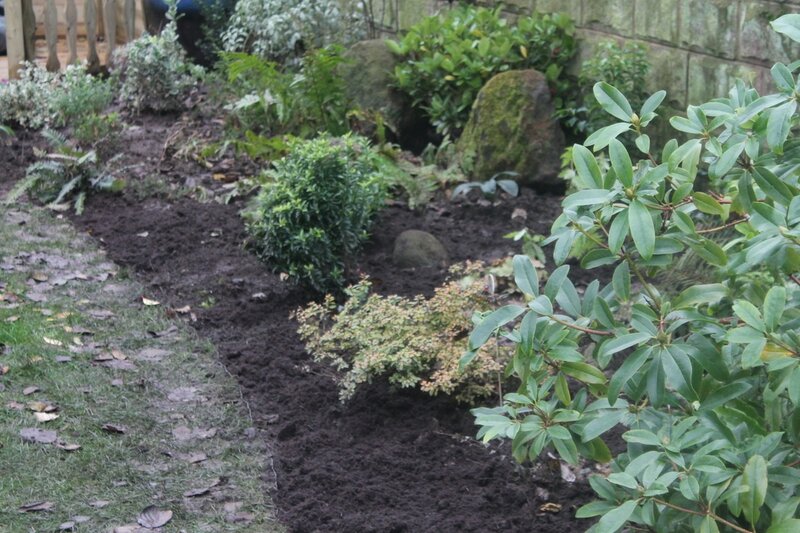 In order to create a blue/purple scheme, we included geraniums, ceanothus and calendulas. 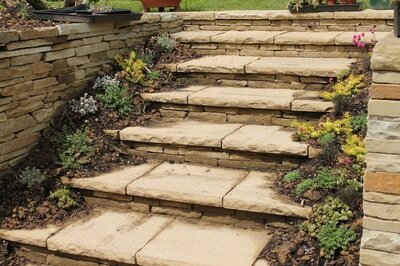 A few improvements in hard landscaping and additional planting can massively improve a garden's appearance. 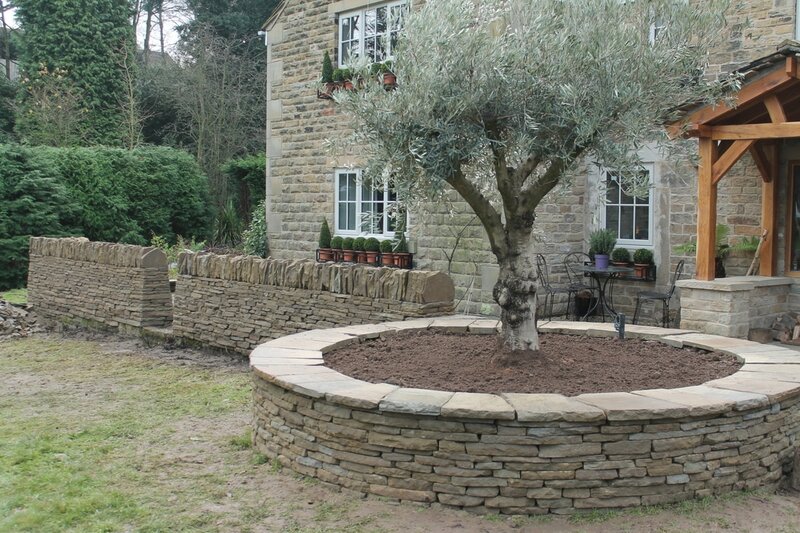 In this example below, after removing a hornbeam hedge, we came up with a design to incorporate curves into the garden, adding aspects of a Japanese garden. 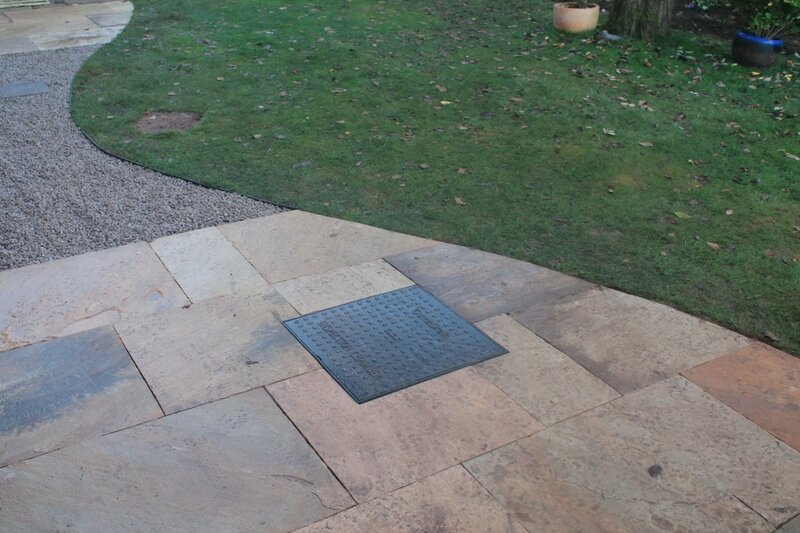 We replaced concrete pavers with stone flags and created a foundation for a new summer house. 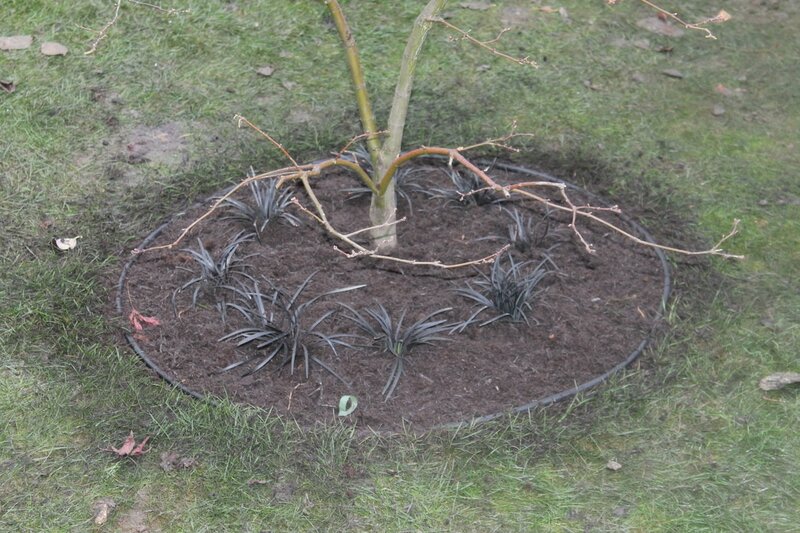 Additionally, we added lawn edging and expanded the garden borders and added more plants to fill out the gaps left by the hedge. 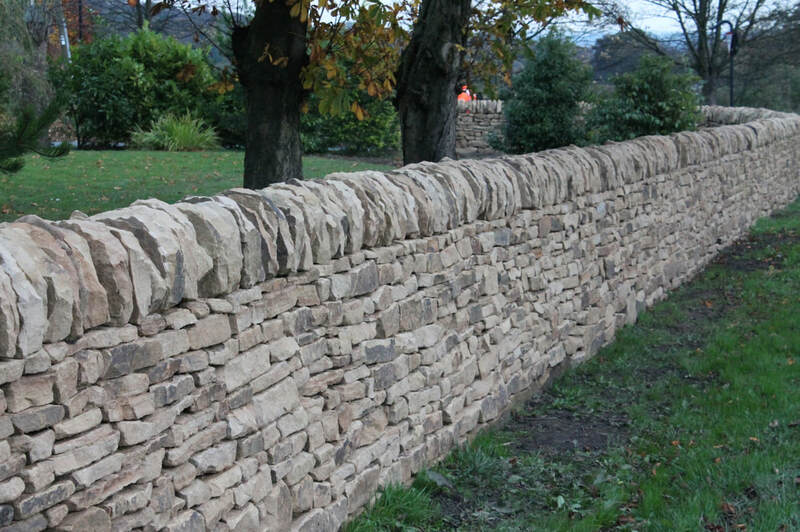 We are also specialists in the construction of dry stone walls in gardens as well as masonry, mortared walling and fencing. 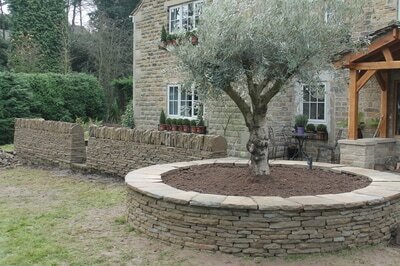 As craftsman, we are used to working with a variety of different stones. 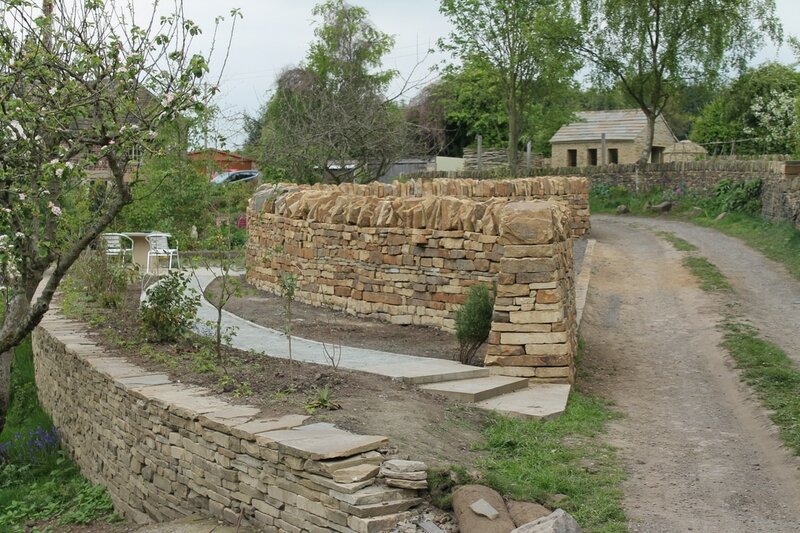 Dry stone has particular advantages for drainage as a retaining wall in a garden and for creating free draining raised beds as well as for creating a series of flat terraces in a garden with a steep slope. In this garden we built two low retaining walls that created a double terrace out of an earth bank on one side of a garden. 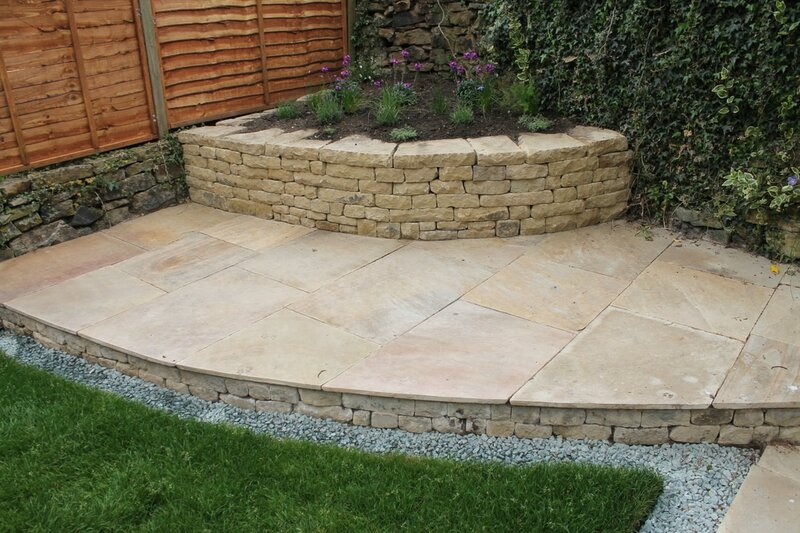 As well as being attractive and free draining, stone is also great value in the sense that it will outlive any other retaining solution such as landscaping logs or sleepers. 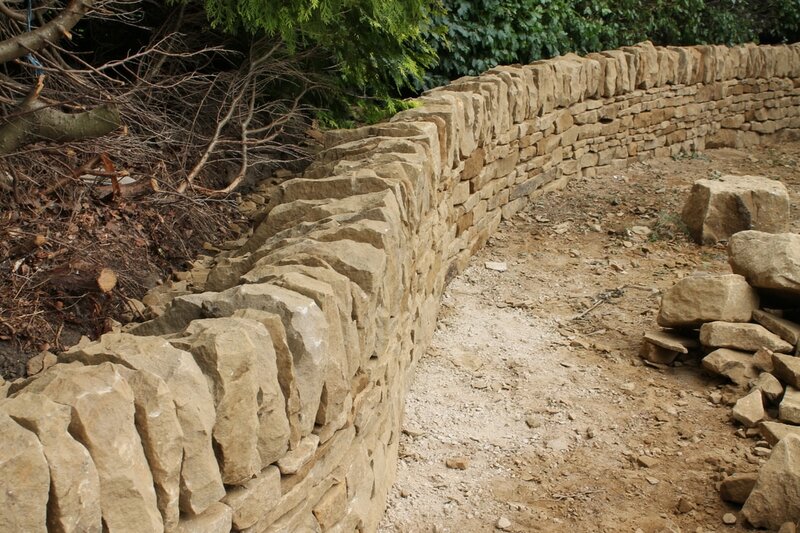 We work in different types of stone and can advise on quarries and stone types for a new-build wall or cladding. We are also experts at rebuilding or repairing old walls and can advise on the best stone to supplement or 'match-in' with an old wall. 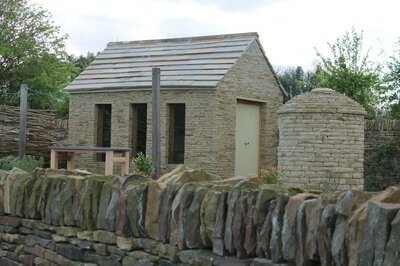 Please visit our sister website www.southpenninewalling.co.uk for more information about all the stonework services that we can provide. 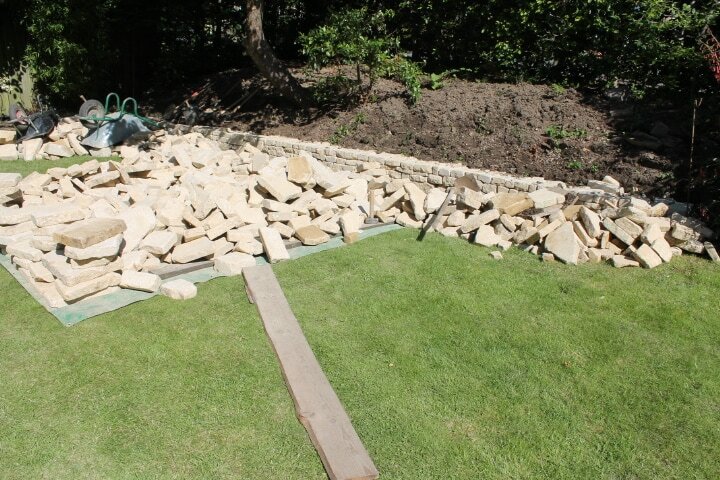 We are able to take on larger projects and have worked across the country on the outskirts of London, in Surrey, the Midlands and across the north of England bringing to together hard landscaping and planting.